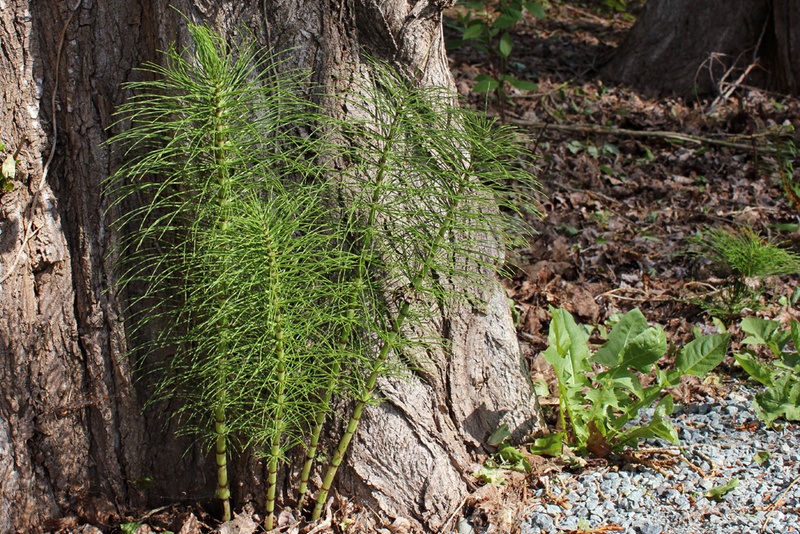 Equisetum arvense, otherwise known as horsetail, is a very special plant because it’s considered a living fossil. It’s the only living survivor of the Sphenopsida plant class. Horsetail’s plant relatives can be found in the spooky coal mining banks of Pennsylvania as Calamites fossils. Medicine made with horsetail has been used as far back as the Roman and Greek empires. It grows all over the world, both in arctic and temperate regions of Europe, North America, and Asia. Before I got pulled over for going 80 mph in a 55 mph zone. If I had horsetail in my blood, maybe I wouldn’t have had to pee so badly. At least the judge was nice enough to remove the points from my record, since I told him all about my urinary urgency issues. When my little sister broke several bones by flying her dune buggy full throttle into a spooky coal mining bank when she was in the 8th grade. Horsetail would have nourished her bones. 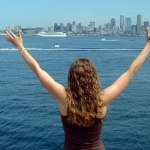 When my hair was falling out as a side effect from taking Elmiron for my interstitial cystitis. Horsetail would have done a better job on my bladder, and it would have given me pretty hair instead of less of it. Horsetail is an herbal comrade for those with interstitial cystitis. It can soothe an irritated bladder, relieve urinary urgency, and strengthen weakened bladder tissue. It also helps to gently bring water through the kidneys, without depleting the body of minerals. As a bladder tonic, horsetail strengthens bladder tissue in a way that can help kids to hold their urine at night. It can also soothe an irritated bladder, which is sometimes the cause of night time pee accidents. It works great when combined with other herbs for this purpose, as it may not cure the problem solo. I like Wise Woman’s “Dry Bed Compound“. Horsetail has been a traditional natural treatment for osteoporosis. This feature is most likely due to its high silica content. Silicon plays a key role in your body’s bone building process.4 For this reason, you may find horsetail in bone support supplements. Because horsetail strengthens connective tissue, it is an excellent herb for pretty hair, nails, and skin. The natural cosmetics industry frequently uses horsetail in moisturizing lotions and shampoos, which is why I just found it in my DermaE Age-Defying Moisturizing Complex. If you harvest your own horsetail, avoid using plants grown by roads and industrial areas. Horsetail readily absorbs any heavy metals found in the soil (especially cadmium and lead). If you would like to start using Equisetum arvense medicinally, please consult your naturopathic doctor. A licensed healthcare practitioner can tailor the dose according to your needs. 1. Exley C, Korchazhkina O, Job D, et al: Non-invasive therapy to reduce the body burden of aluminum in Alzheimer’s disease. Journal of Alzheimer’s Disease 10(2006) 17-24. 3. Miu, Andrei C: The silicon link between aluminum and Alzheimer’s disease. Journal of Alzheimer’s Disease 10 (2006) 39–42. 4. Pizzorno, Joseph. Pizzorno: Textbook of Natural Medicine, 4th ed. Churchill Livingstone, 2012. 5. Natural Medicines Comprehensive Database. Do You Have The Fever Phobic Mama Bug?